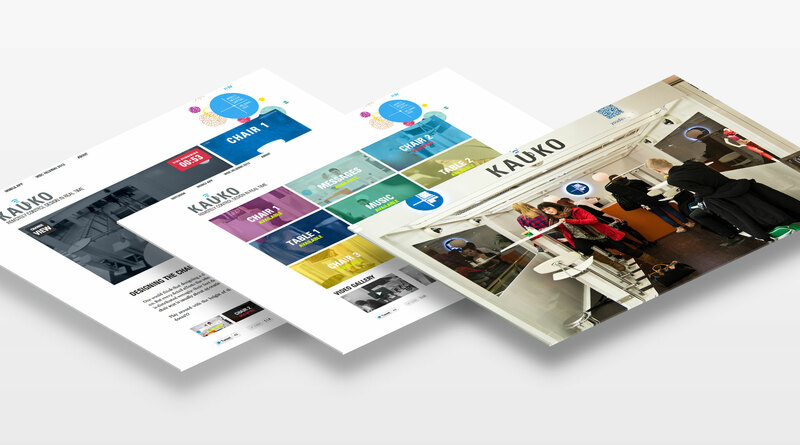 Pop-up Café, controled by users online, shows the importance of design. 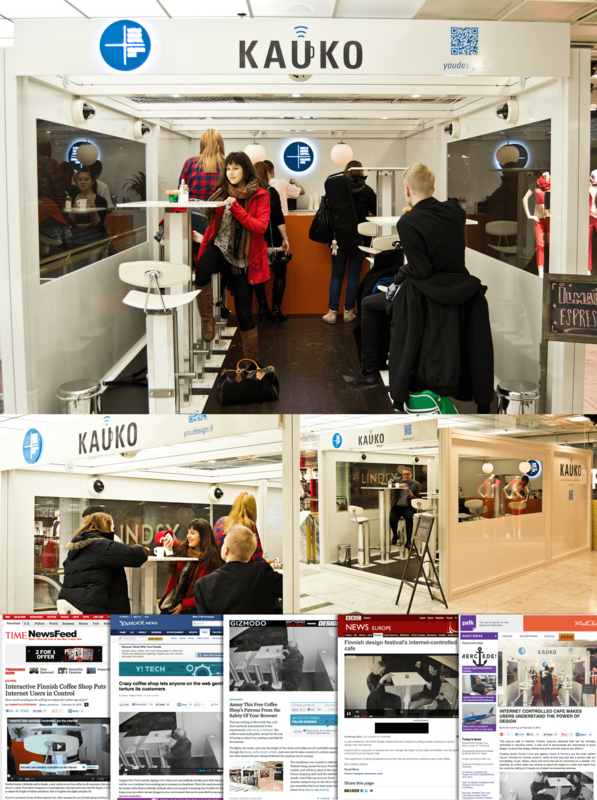 As part of the campaign for Helsinki as World Design Capital 2012, we created an integrated campaign around Kauko Café (Finnish for “remote control”), a pop-up café with the lighting, music, chairs and tables heights controlled in real time via web and seen via live-streaming cameras. 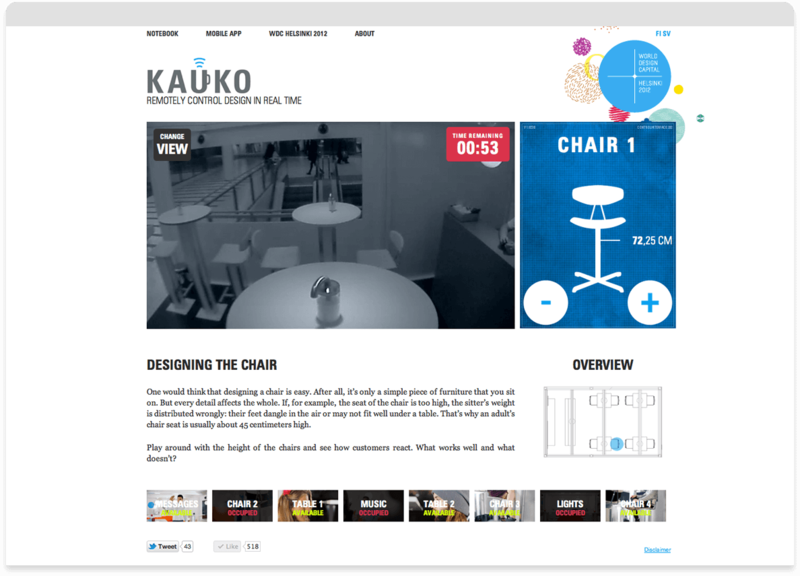 Kauko Café was also surrounded by badly design sugar dispensers, napkin holders and trash cans that demonstrated the importance of good design. 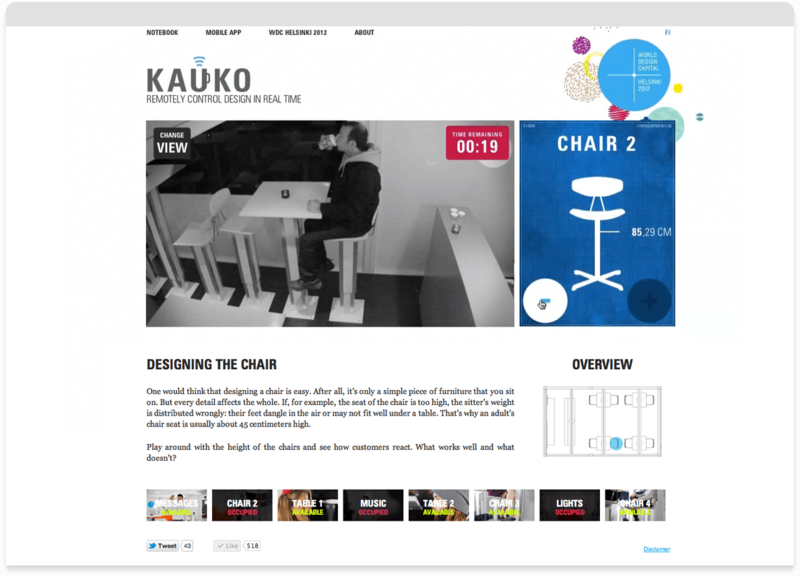 This proves that design affects everybody and that anyone can affect it.